Nationally recognized architecture, a rich and uniquely Western history, and the intricate, impeccable beauty of the cabins at Windsock Acres combine to make your stay truly unforgettable. 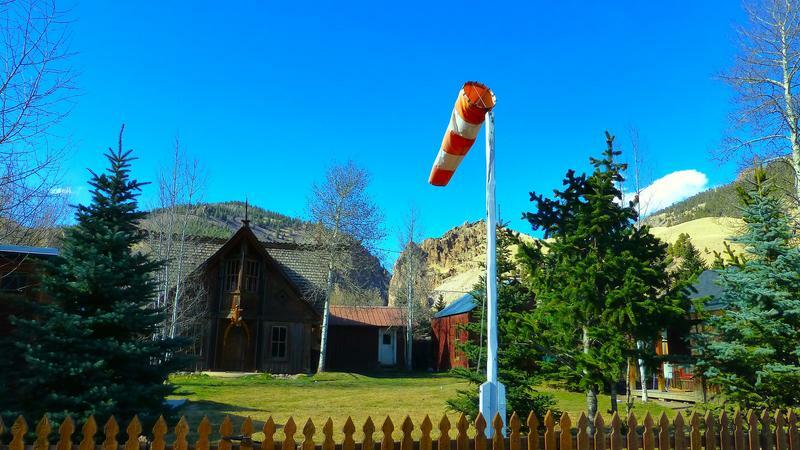 Windsock Acres’ convenient location provides immediate access to Creede’s historic Main Street, replete with galleries, restaurants, and the celebrated Creede Repertory Theatre. Windsock Acres is the premier lodging experience in the “Last Best Place” of the American West. Creede transforms in the winter to a quiet, snow-filled escape. Only 45 minutes from Wolf Creek Ski Area and endless backcountry skiing options, it is a perfect destination for those looking to get away from the winter crowds. Check out our blog for a list of winter activities in Creede. Perfect for the budget traveler who wants a boutique experience. Closed for the winter from Nov 1 - March 31. Surround yourself with beautiful art and a warm atmosphere. For the honeymooners to the architecture lovers. The cabins – the Magnolia, the Cajun, and the Boathouse – are set on a broad, sunny half-acre near downtown Creede, Colorado. Cat and Avery Augur live on the property along with their three sons Harrison, Theodore, and James and their dog Lula. The shared yard is accessible to all guests, and the dog (and children) is friendly. The manager, Linnaea, is available daily to provide any assistance you may need. Each cabin has a queen bed (the Cajun has a queen pull-out sofa bed as well); we regret that our cabins cannot accommodate animals or small children. We encourage you to explore Creede, as our cabins do not have television. Windsock Acres is smoke-free. Please review our policies page before booking. The cabins at Windsock Acres boast unique art and amenities; click here for a full description of each cabin, rates, photos and to check availability. To book a cabin, you may call, email or book online through each cabin page. If you would like to book multiple cabins, please contact us for assistance. We require a two-night minimum stay.